Sound: Especially designed to meet the requirements of today's Drum'n Bass and Jungle scene. It provides a multitude of new sounds. The bottom hihat contains jingles which enhance the spectrum. MEINL's innovative and award-winning Generation X series cymbals pave the way to a completely new world of revolutionary cymbals. Sounds, which are consciously different and aimed towards advanced, experimental and unconventional drummers who are motivated to explore new sound territories. 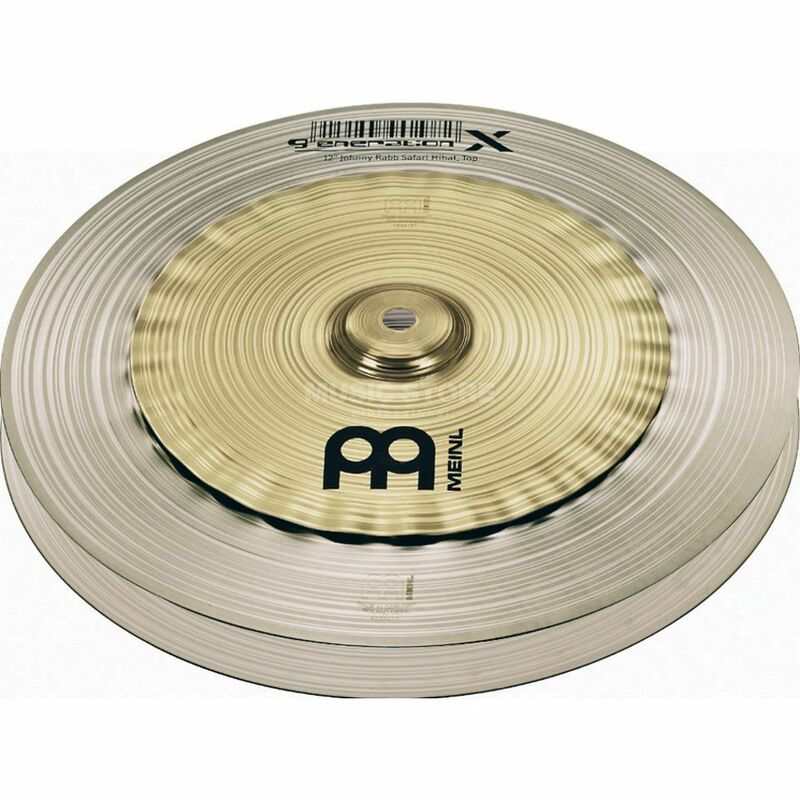 MEINL's Generation X series cymbals offer contemporary and modern sounds which were designed in cooperation with some of today's most remarkable drummers.